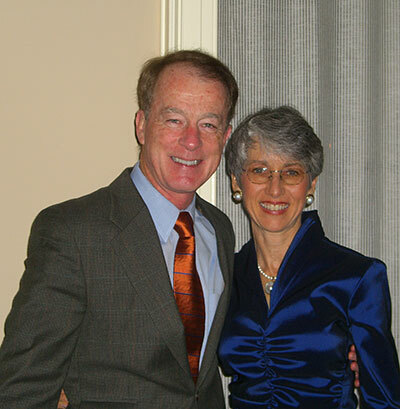 John and Nancy Barnidge believe in funding opportunities that will remain long after they have gone. They have consistently contributed to the E. J. Ourso College of Business for years—through its student incubator program, endowed scholarships, the Dean’s Excellence Fund and the new Business Education Complex, among several others. Their son’s recent positive experience with the Manship School of Mass Communication’s master’s program prompted them to expand their giving. Instead, Dean Jerry Ceppos shared an “unorthodox” opportunity to give, through a donation to commemorate the school’s centennial. This year marks the Manship School of Mass Communication’s 100th year of journalism and mass communication education at LSU. The year-long centennial celebration, named Manship 100, culminated in the distribution of nearly 1,000 tickets for a weekend of activities in October, aimed to establish a national brand for the Manship School in media and public affairs education, and to raise more money than ever before for its annual excellence fund—surpassing the previous, record-breaking year. The Barnidges’ gift provided funding for centennial publicity, mailing materials, keynote speakers, workshops, dinners and a tailgate. A specially designed centennial website hosts a timeline of student, alumni and friend stories and videos to help engage visitors in the celebration.